Our goal is to make your charting process as efficient and effective as possible. 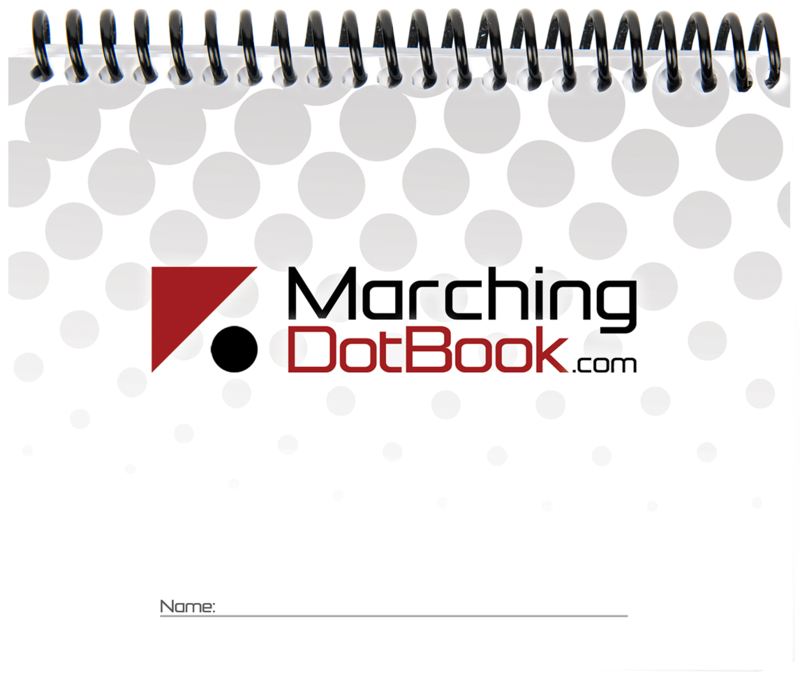 That’s why our dot books have a place for marching members to record all of the important information they need to achieve at a high level. 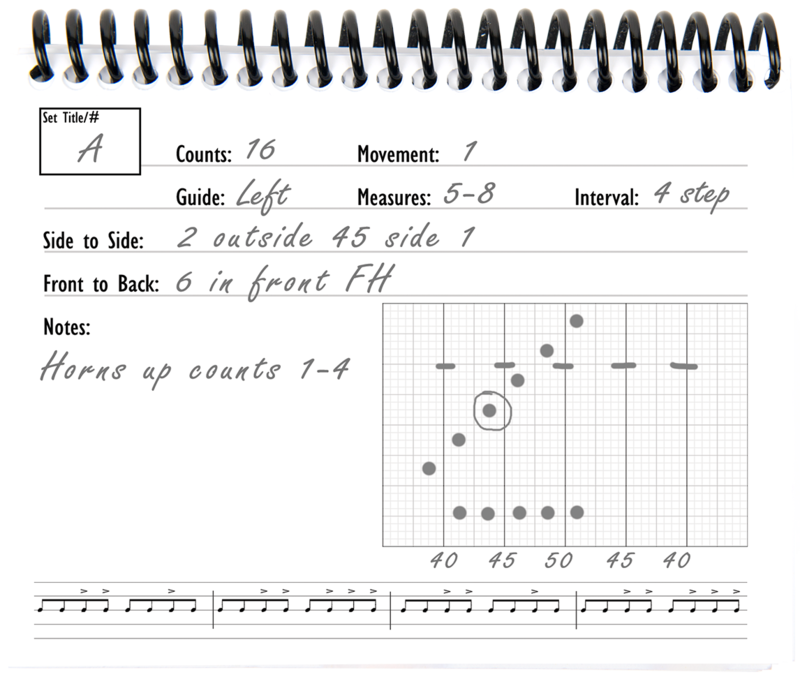 With the charting pack, we even include the pencil and string so you can hit the ground marching! The cover is waterproof and tear resistant paper so it will stand up to the elements! 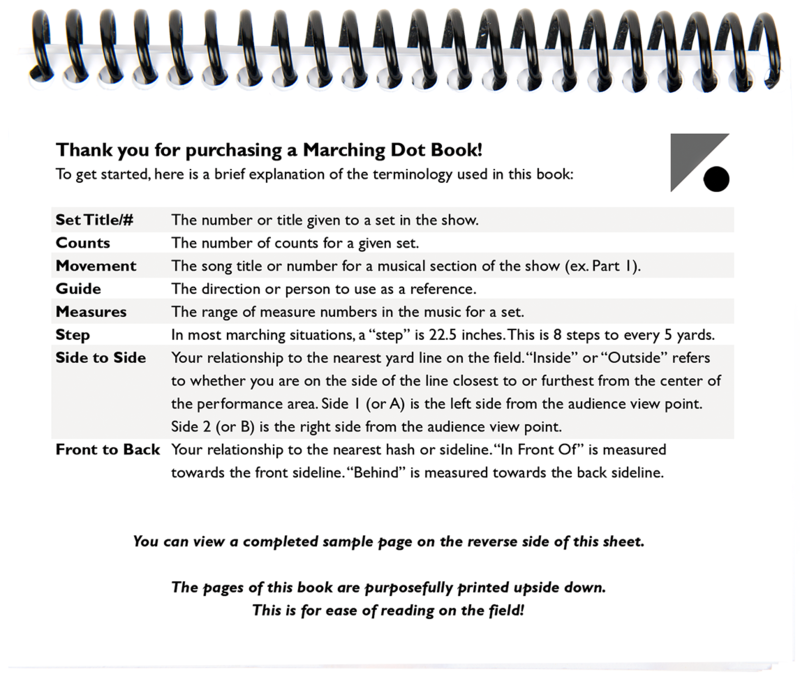 The first page in every dot book contains an explanation of the fields contained on each page. This will make day one of charting go much more smoothly! 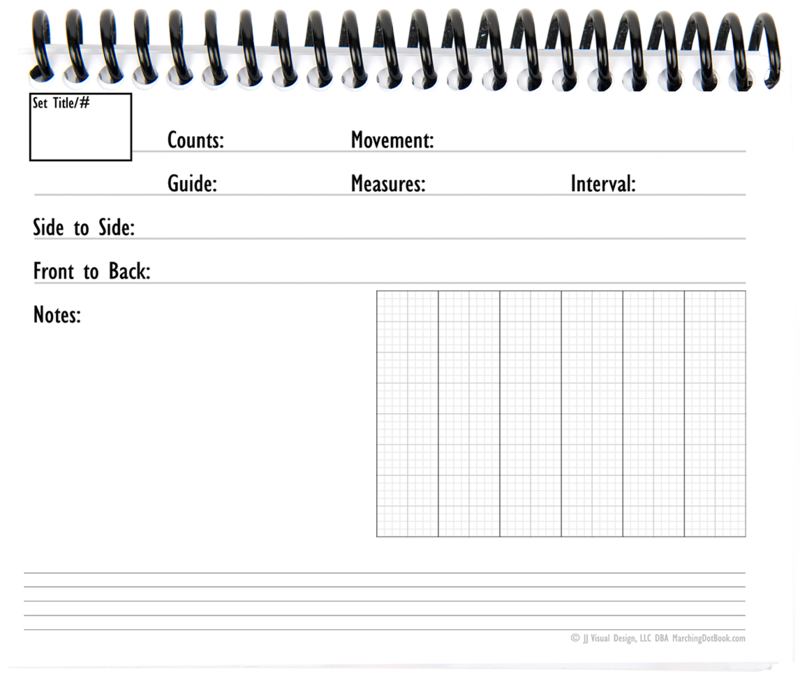 On the back of the first page is a completed sample page to help students document their sets in a uniform way. The pages are printed front and back to increase the capacity of each book without making them bulky. The books come with enough room for 120 sets. Students forget things. That’s why we put everything in our charting packs. We provide a 4+ foot length of paracord along with a mechanical pencil. No need for last minute trips to the office supply store.